Posted on June 2, 2017 at 3:28 am. The bill may not come up for debate by the Japanese government until 2018. New reports have emerged revealing secondary Japanese legislation for the legalisation of casinos may not be discussed by the Diet until next year. While the ban on land-based casinos was lifted at the end of 2016 in Japan, secondary legislation is required before operators can be chosen, licenses can be handed out and construction can begin. Now it appears the process could be even slower than originally projected with a senior official from the Office of Integrated Resort Regime Promotion providing an insight. The official, who spoke to GGRAsia, revealed an outline of the legislation will not be made public until August 2017 at the earliest. The official also said the Integrated Resorts (IR) Implementation Bill, which will provide the regulatory framework and detail how many casinos will be built may not be up for debate until next year. The long wait between public release and governmental debate has been put down to a period where the public can submit their thoughts on the bill. The official belongs to the IR Promotion Secretariat which consists of professional civil servants and is advising the government about the best way to implement casinos in the country. 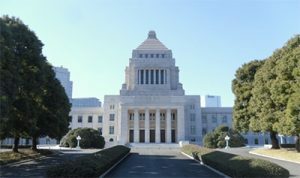 The bill will be made public on behalf of the Integrated Resort Regime Promotion Headquarter, which is headed by Japan’s Prime Minister, Shinzo Abe. The delay is a surprise given it was previously reported the bill would potentially be debated during the third quarter of 2017, a timeline pushed by the Prime Minister himself. Additionally, the Japanese government reportedly began working on the bill in early April. The remarks were made on Wednesday at a meeting where a draft policy of casino regulation was discussed, along with the perception of local Japanese companies, including the gaming technology company Konami Holdings Corp, and playing card manufacturer Angel Playing Cards, teaming up with international operators. Other issues discussed included the approval process for businesses and investors, as well as the regulation and background checks for shareholders interested in the potential casinos. The casino licenses are reportedly also being heavily discussed according to local Japanese media outlet, the Yomiuri Shimbun. The newspaper reported the vetting process will be done by copying pre-existing models, such as those employed in Las Vegas and Singapore. The news outlet also said the process will involve strict screening with a regular renewal requisite in place in order to ensure the industry did not become a means for criminal activity. “To prevent members of yakuza organisations and other antisocial forces from getting involved in the casino business, the draft stipulates that thorough probes will be carried out, focusing on such factors as business relationships of the operators – including their subsidiaries and shareholders – and relationships with those who might join the operations, and whether there is debt involved,” the news outlet said. As a result, a casino control commission, which will consist of National Police Agency officials, will be set up to handle the screening process. Reports also reveal a separate team will be set up to combat the potential harms which come with gambling, given a large percentage of the Japanese population is already addicted to pachinko machines – Japan’s version of slot machines where players win prizes instead of cash. Reports have hinted pachinko machines may be regulated in the casino legislative process.